Check out this 2015 Jeep Renegade Latitude. Its Automatic transmission and Regular Unleaded I-4 2.4 L/144 engine will keep you going. This Jeep Renegade features the following options: WHEELS: 17 X 7.0 ALUMINUM, TRANSMISSION: 9-SPEED 948TE AUTOMATIC -inc: Vinyl Shift Knob, TIRES: P215/60R17 BSW AS TOURING, QUICK ORDER PACKAGE 27J -inc: Engine: 2.4L I4 MultiAir, Transmission: 9-Speed 948TE Automatic, ENGINE: 2.4L I4 MULTIAIR -inc: 3.734 Axle Ratio, Wheels: 17 x 7.0 Aluminum, Engine Oil Cooler, Tires: P215/60R17 BSW AS Touring, BLACK, CLOTH LOW-BACK BUCKET SEATS, BLACK, and 3.734 AXLE RATIO. See it for yourself at Cutter Chrysler Jeep Dodge Pearl City, 905 Kamehameha Hwy, Pearl City, HI 96782.Look at this 2015 Jeep Renegade Latitude. Its Automatic transmission and Regular Unleaded I-4 2.4 L/144 engine will keep you going. This Jeep Renegade has the following options: WHEELS: 17 X 7.0 ALUMINUM, TRANSMISSION: 9-SPEED 948TE AUTOMATIC -inc: Vinyl Shift Knob, TIRES: P215/60R17 BSW AS TOURING, QUICK ORDER PACKAGE 27J -inc: Engine: 2.4L I4 MultiAir, Transmission: 9-Speed 948TE Automatic, ENGINE: 2.4L I4 MULTIAIR -inc: 3.734 Axle Ratio, Wheels: 17 x 7.0 Aluminum, Engine Oil Cooler, Tires: P215/60R17 BSW AS Touring, BLACK, CLOTH LOW-BACK BUCKET SEATS, BLACK, and 3.734 AXLE RATIO. Stop by and visit us at Cutter Chrysler Jeep Dodge Pearl City, 905 Kamehameha Hwy, Pearl City, HI 96782.Check out this 2015 Jeep Renegade Latitude. Its Automatic transmission and Regular Unleaded I-4 2.4 L/144 engine will keep you going. This Jeep Renegade has the following options: WHEELS: 17 X 7.0 ALUMINUM, TRANSMISSION: 9-SPEED 948TE AUTOMATIC -inc: Vinyl Shift Knob, TIRES: P215/60R17 BSW AS TOURING, QUICK ORDER PACKAGE 27J -inc: Engine: 2.4L I4 MultiAir, Transmission: 9-Speed 948TE Automatic, ENGINE: 2.4L I4 MULTIAIR -inc: 3.734 Axle Ratio, Wheels: 17 x 7.0 Aluminum, Engine Oil Cooler, Tires: P215/60R17 BSW AS Touring, BLACK, CLOTH LOW-BACK BUCKET SEATS, BLACK, and 3.734 AXLE RATIO. See it for yourself at Cutter Chrysler Jeep Dodge Pearl City, 905 Kamehameha Hwy, Pearl City, HI 96782.To lock in posted internet pricing, customers must make an appointment through the Internet sales department. To make your appointment contact the Internet department today at 808-564-9900. Internet appointments come with hassle free negotiations. Come check out the better way to buy. Come see this 2014 Ram 2500 SLT. Its Automatic transmission and Regular Unleaded V-8 5.7 L/345 engine will keep you going. This Ram 2500 has the following options: WHEELS: 18 X 8.0 STEEL CHROME CLAD (STD), UNDER RAIL BOX BEDLINER, TRANSMISSION: 6-SPEED AUTOMATIC (66RFE) (STD), TIRES: LT275/70R18E BSW AS (STD), QUICK ORDER PACKAGE 26G SLT -inc: Engine: 5.7L V8 HEMI VVT, Transmission: 6-Speed Automatic (66RFE), MANUFACTURER'S STATEMENT OF ORIGIN, GVWR: 9,000 LBS (STD), ENGINE: 5.7L V8 HEMI VVT -inc: 50 State Emissions (STD), DIESEL GRAY/BLACK, CLOTH 40/20/40 BENCH SEAT, and BRIGHT SILVER METALLIC CLEARCOAT. Test drive this vehicle at Cutter Chrysler Jeep Dodge Pearl City, 905 Kamehameha Hwy, Pearl City, HI 96782.Look at this 2014 Ram 2500 SLT. Its Automatic transmission and Regular Unleaded V-8 5.7 L/345 engine will keep you going. This Ram 2500 has the following options: WHEELS: 18 X 8.0 STEEL CHROME CLAD (STD), UNDER RAIL BOX BEDLINER, TRANSMISSION: 6-SPEED AUTOMATIC (66RFE) (STD), TIRES: LT275/70R18E BSW AS (STD), QUICK ORDER PACKAGE 26G SLT -inc: Engine: 5.7L V8 HEMI VVT, Transmission: 6-Speed Automatic (66RFE), MANUFACTURER'S STATEMENT OF ORIGIN, GVWR: 9,000 LBS (STD), ENGINE: 5.7L V8 HEMI VVT -inc: 50 State Emissions (STD), DIESEL GRAY/BLACK, CLOTH 40/20/40 BENCH SEAT, and BRIGHT SILVER METALLIC CLEARCOAT. 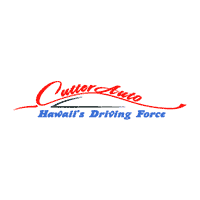 Test drive this vehicle at Cutter Chrysler Jeep Dodge Pearl City, 905 Kamehameha Hwy, Pearl City, HI 96782.To lock in posted internet pricing, customers must make an appointment through the Internet sales department. To make your appointment contact the Internet department today at 808-564-9900. Internet appointments come with hassle free negotiations. Come check out the better way to buy. Look at this 2016 Jeep Wrangler Unlimited Sport. Its Automatic transmission and Regular Unleaded V-6 3.6 L/220 engine will keep you going. This Jeep Wrangler Unlimited has the following options: WHEELS: 16 X 7.0 LUXURY STYLED STEEL (STD), TRANSMISSION: 5-SPEED AUTOMATIC (W5A580) -inc: Hill Descent Control, Tip Start, TIRES: P225/75R16 BSW ON/OFF ROAD (STD), SIRIUS SATELLITE RADIO -inc: 1-Yr SIRIUSXM Radio Service, For More Info Call 888-539-7474, RADIO: 430 -inc: Remote USB Port, QUICK ORDER PACKAGE 24C -inc: Engine: 3.6L V6 24V VVT, Transmission: 5-Speed Automatic (W5A580), MOPAR SLUSH MATS, MOPAR BLACK APPEARANCE GROUP -inc: MOPAR Black Tubular Side Steps, Black/Chrome Screws Fuel Filler Door, MOPAR Black Tail Lamp Guards, MANUFACTURER'S STATEMENT OF ORIGIN, and ENGINE: 3.6L V6 24V VVT (STD). See it for yourself at Cutter Chrysler Jeep Dodge Pearl City, 905 Kamehameha Hwy, Pearl City, HI 96782.To lock in posted internet pricing, customers must make an appointment through the Internet sales department. To make your appointment contact the Internet department today at 808-564-9900. Internet appointments come with hassle free negotiations. Come check out the better way to buy. Look at this 2016 Honda CR-V LX. Its Variable transmission and Regular Unleaded I-4 2.4 L/144 engine will keep you going. This Honda CR-V features the following options: WHITE DIAMOND PEARL. See it for yourself at Cutter Chrysler Jeep Dodge Pearl City, 905 Kamehameha Hwy, Pearl City, HI 96782.To lock in posted internet pricing, customers must make an appointment through the Internet sales department. To make your appointment contact the Internet department today at 808-564-9900. Internet appointments come with hassle free negotiations. Come check out the better way to buy. Check out this 2015 Mazda CX-5 Touring. Its Automatic transmission and Regular Unleaded I-4 2.5 L/152 engine will keep you going. This Mazda CX-5 has the following options: LIQUID SILVER and BLACK, CLOTH SEAT TRIM. Test drive this vehicle at Cutter Chrysler Jeep Dodge Pearl City, 905 Kamehameha Hwy, Pearl City, HI 96782.Check out this 2015 Mazda CX-5 Touring. Its Automatic transmission and Regular Unleaded I-4 2.5 L/152 engine will keep you going. This Mazda CX-5 has the following options: LIQUID SILVER and BLACK, CLOTH SEAT TRIM. Stop by and visit us at Cutter Chrysler Jeep Dodge Pearl City, 905 Kamehameha Hwy, Pearl City, HI 96782.Check out this 2015 Mazda CX-5 Touring. Its Automatic transmission and Regular Unleaded I-4 2.5 L/152 engine will keep you going. This Mazda CX-5 comes equipped with these options: LIQUID SILVER and BLACK, CLOTH SEAT TRIM. Stop by and visit us at Cutter Buick GMC Mazda, 94-245 Farrington Hwy, Waipahu, HI 96797.To lock in posted internet pricing, customers must make an appointment through the Internet sales department. To make your appointment contact the Internet department today at 808-564-9900. Internet appointments come with hassle free negotiations. Come check out the better way to buy. Check out this 2016 Mazda CX-3 Sport. Its Automatic transmission and Regular Unleaded I-4 2.0 L/122 engine will keep you going. This Mazda CX-3 features the following options: DEEP CRYSTAL BLUE MICA, BLACK, CLOTH UPHOLSTERY -inc: gray inserts, and ALLOY WHEEL DELETE -inc: Wheels: 16 Steel w/Covers. Test drive this vehicle at Cutter Chrysler Jeep Dodge Pearl City, 905 Kamehameha Hwy, Pearl City, HI 96782.Check out this 2016 Mazda CX-3 Sport. Its Automatic transmission and Regular Unleaded I-4 2.0 L/122 engine will keep you going. This Mazda CX-3 has the following options: DEEP CRYSTAL BLUE MICA, BLACK, CLOTH UPHOLSTERY -inc: gray inserts, and ALLOY WHEEL DELETE -inc: Wheels: 16 Steel w/Covers. Stop by and visit us at Cutter Chrysler Jeep Dodge Pearl City, 905 Kamehameha Hwy, Pearl City, HI 96782.Look at this 2016 Mazda CX-3 Sport. Its Automatic transmission and Regular Unleaded I-4 2.0 L/122 engine will keep you going. This Mazda CX-3 has the following options: DEEP CRYSTAL BLUE MICA, BLACK, CLOTH UPHOLSTERY -inc: gray inserts, and ALLOY WHEEL DELETE -inc: Wheels: 16 Steel w/Covers. See it for yourself at Cutter Buick GMC Mazda, 94-245 Farrington Hwy, Waipahu, HI 96797.To lock in posted internet pricing, customers must make an appointment through the Internet sales department. To make your appointment contact the Internet department today at 808-564-9900. Internet appointments come with hassle free negotiations. Come check out the better way to buy. Look at this 2016 Honda CR-V EX. Its Variable transmission and Regular Unleaded I-4 2.4 L/144 engine will keep you going. This Honda CR-V has the following options: WHITE DIAMOND PEARL, OBSIDIAN BLUE PEARL, and MOUNTAIN AIR METALLIC. See it for yourself at Cutter Chrysler Jeep Dodge Pearl City, 905 Kamehameha Hwy, Pearl City, HI 96782.To lock in posted internet pricing, customers must make an appointment through the Internet sales department. To make your appointment contact the Internet department today at 808-564-9900. Internet appointments come with hassle free negotiations. Come check out the better way to buy. Come see this 2016 Audi A4 Premium. Its Variable transmission and Intercooled Turbo Premium Unleaded I-4 2.0 L/121 engine will keep you going. . See it for yourself at Cutter Chrysler Jeep Dodge Pearl City, 905 Kamehameha Hwy, Pearl City, HI 96782.Check out this 2016 Audi A4 Premium. Its Variable transmission and Intercooled Turbo Premium Unleaded I-4 2.0 L/121 engine will keep you going. . Stop by and visit us at Cutter Chrysler Jeep Dodge Pearl City, 905 Kamehameha Hwy, Pearl City, HI 96782.Check out this 2016 Audi A4 Premium. Its Variable transmission and Intercooled Turbo Premium Unleaded I-4 2.0 L/121 engine will keep you going. . Test drive this vehicle at Cutter Buick GMC Mazda, 94-245 Farrington Hwy, Waipahu, HI 96797.To lock in posted internet pricing, customers must make an appointment through the Internet sales department. To make your appointment contact the Internet department today at 808-564-9900. Internet appointments come with hassle free negotiations. Come check out the better way to buy. Check out this 2014 GMC Yukon SLT. Its Automatic transmission and Gas/Ethanol V8 5.3L/323 engine will keep you going. This GMC Yukon features the following options: WHEELS, 4 - 17 X 7.5 (43.2 CM X 19.1 CM) BRIGHT ALUMINUM, SPORT (STD), TRANSMISSION, 6-SPEED AUTOMATIC, ELECTRONICALLY CONTROLLED with overdrive, tow/haul mode and tap up/tap down shifting (STD), TIRES, P265/70R17 ALL-SEASON, BLACKWALL (STD), SUSPENSION PACKAGE, PREMIUM SMOOTH RIDE (STD), SUMMIT WHITE, SLT PREFERRED EQUIPMENT GROUP Includes Standard Equipment, SEATS, THIRD ROW 50/50 SPLIT-BENCH WITH VINYL 3-passenger, removable, all-belts-to-seat (STD), SEATS, SECOND ROW 60/40 SPLIT-FOLDING BENCH WITH LEATHER-APPOINTED SEATING 3-passenger with center armrest and storage tray (STD), SEATS, FRONT BUCKET WITH LEATHER-APPOINTED SEATING Heated and (AG1) 6-way power driver and (AG2) front passenger seat adjusters, adjustable head restraints, driver manual lumbar control, floor console and rear storage pockets (STD), and REAR AXLE, 3.08 RATIO. Stop by and visit us at Cutter Chrysler Jeep Dodge Pearl City, 905 Kamehameha Hwy, Pearl City, HI 96782.Come see this 2014 GMC Yukon SLT. Its Automatic transmission and Gas/Ethanol V8 5.3L/323 engine will keep you going. This GMC Yukon features the following options: WHEELS, 4 - 17 X 7.5 (43.2 CM X 19.1 CM) BRIGHT ALUMINUM, SPORT (STD), TRANSMISSION, 6-SPEED AUTOMATIC, ELECTRONICALLY CONTROLLED with overdrive, tow/haul mode and tap up/tap down shifting (STD), TIRES, P265/70R17 ALL-SEASON, BLACKWALL (STD), SUSPENSION PACKAGE, PREMIUM SMOOTH RIDE (STD), SUMMIT WHITE, SLT PREFERRED EQUIPMENT GROUP Includes Standard Equipment, SEATS, THIRD ROW 50/50 SPLIT-BENCH WITH VINYL 3-passenger, removable, all-belts-to-seat (STD), SEATS, SECOND ROW 60/40 SPLIT-FOLDING BENCH WITH LEATHER-APPOINTED SEATING 3-passenger with center armrest and storage tray (STD), SEATS, FRONT BUCKET WITH LEATHER-APPOINTED SEATING Heated and (AG1) 6-way power driver and (AG2) front passenger seat adjusters, adjustable head restraints, driver manual lumbar control, floor console and rear storage pockets (STD), and REAR AXLE, 3.08 RATIO. Stop by and visit us at Cutter Chrysler Jeep Dodge Pearl City, 905 Kamehameha Hwy, Pearl City, HI 96782.Come see this 2014 GMC Yukon SLT. Its Automatic transmission and Gas/Ethanol V8 5.3L/323 engine will keep you going. This GMC Yukon has the following options: WHEELS, 4 - 17 X 7.5 (43.2 CM X 19.1 CM) BRIGHT ALUMINUM, SPORT (STD), TRANSMISSION, 6-SPEED AUTOMATIC, ELECTRONICALLY CONTROLLED with overdrive, tow/haul mode and tap up/tap down shifting (STD), TIRES, P265/70R17 ALL-SEASON, BLACKWALL (STD), SUSPENSION PACKAGE, PREMIUM SMOOTH RIDE (STD), SUMMIT WHITE, SLT PREFERRED EQUIPMENT GROUP Includes Standard Equipment, SEATS, THIRD ROW 50/50 SPLIT-BENCH WITH VINYL 3-passenger, removable, all-belts-to-seat (STD), SEATS, SECOND ROW 60/40 SPLIT-FOLDING BENCH WITH LEATHER-APPOINTED SEATING 3-passenger with center armrest and storage tray (STD), SEATS, FRONT BUCKET WITH LEATHER-APPOINTED SEATING Heated and (AG1) 6-way power driver and (AG2) front passenger seat adjusters, adjustable head restraints, driver manual lumbar control, floor console and rear storage pockets (STD), and REAR AXLE, 3.08 RATIO. See it for yourself at Cutter Buick GMC Mazda, 94-245 Farrington Hwy, Waipahu, HI 96797.To lock in posted internet pricing, customers must make an appointment through the Internet sales department. To make your appointment contact the Internet department today at 808-564-9900. Internet appointments come with hassle free negotiations. Come check out the better way to buy. Check out this 2017 Ford Explorer XLT. Its Automatic transmission and Regular Unleaded V-6 3.5 L/213 engine will keep you going. . See it for yourself at Cutter Chrysler Jeep Dodge Pearl City, 905 Kamehameha Hwy, Pearl City, HI 96782.To lock in posted internet pricing, customers must make an appointment through the Internet sales department. To make your appointment contact the Internet department today at 808-564-9900. Internet appointments come with hassle free negotiations. Come check out the better way to buy. Sale price does not include tax, title, or documentation fee of $295. See dealer for information. Please verify any information or pricing in question in person with appointment through our friendly internet sales department 808-564-9900. While every reasonable effort is made to ensure the accuracy of this information, we are not responsible for any errors or omissions contained on these pages.